It is widely assumed that the increasing disfunctions of democratic regimes could be fixed internally, i.e. within the realm of government. Today we know that this is an illusion. Democratic governance can only be maintained and advanced within the wider realm of coming to grips with adjacent and often competing modes of societal order, i.e. the market and the community/society. The author first lists different challenges to democratic governance before addressing the question of how these challenges could be met with respect to each of the three dimensions in a way such that governability, legitimacy and accountability (GLA) reassume the character of a virtuous circle. Governability as a theoretical term has been associated with the crisis of democracy ever since the Trilateral Commission had published its report on that very issue in 1975 (Crozier, Huntington, Watanuki 1975). The main problem at that time was said to be a mixture of demand overload, of highly bureaucratic forms of decision-making behind closed doors, of a loss of legitimacy, and of a loss of common purpose. In situations like this, “there is no basis for common priorities, and without priorities, there are no grounds for distinguishing among competing private interests and claims (ibid.:161)”. As a result, “the system becomes one of anomic democracy, in which democratic politics becomes more an arena for the assertion of conflicting interests than a process for the building of common purposes” (ibid.). To remedy this condition for the case of the US, the Commission suggested a “balance (…) to be restored between governmental activity and governmental authority”. Only then could the effects of the “excess of democracy” be fixed and international trade, balanced budgets, and “hegemonic power” in the world be re-installed. Since the times of hegemonic powers have passed, these recommendations have lost much of their appeal. There is another assumption that today appears unsustainable. It is the conviction that the decline in GLA would represent a problem exclusively, or predominantly, limited to the sphere of politics. Accordingly, appropriate remedies to overcome the malaise would have to be directed to policy-makers and to public administration. Rather than making the boundaries around the body politics more permeable, they would need to be re-erected such that growing demands by the citizenry would miss their target when directed towards the state. Many of our countries are today struggling with the results of such unidimensional suggestions partly entailing critique vis-à-vis governing elites, partly resulting in increasing popularity of right-wing radicalism. Both the practical and the theoretical limitations of these earlier, state-centred models become visible if we leave the sphere of statehood and turn to more recent theoretical models that deal with more than just governability, namely to theories of governance. Governance is understood as the interplay between three dimensions of societal order: the state, the market, and the community/society. Ideally, governance arrangements perform well to the extent that the principle rules and modes characteristic of these dimensions overlap thus mutually supporting each other in respect to different problems in need of solution. There is a clear correspondence between the role of the state in a globalized world and the role of the state in domestic governance arrangements. The sovereign nation-state, whether large or small, weak or powerful, cannot continue to operate as a strictly insular entity. Due to the multidimensional nature of both globalization and of domestic governance, the balance of power among nation states, and among the dimensions of governance, has become much more dynamic, and at the same time more fragile and unpredictable. With a view to domestic governance, each policy problem requires a highly specific balance among the three dimensions. In retrospect, one might say that this balance has worked quite well – particularly during the Trente Glorieuses, i.e. the period of the Keynesian welfare state with its triple achievement of sustained growth, high employment, and steady income increase. Today, after the transition from Keynesianism to neoliberalism, we are witnessing a marked disequilibrium in that respect. It is both the state and community/society having lost most in that transitional period, while it is the market having gained disproportionally. At first glance, it might seem as if the state, the market, and the community/society were increasingly becoming de-coupled thus living lives of their own. In reality, it is a question of disequilibrium with power and control shifting away from both state and community towards corporate actors. Contrary to the analysis and the suggestions made by the Trilateral Commission, with its exclusive focus on the sphere of government, challenges to GLA are of an endogenous and an exogenous nature and seriously affect the overall system of democratic governance. In what follows, some impressionistic remarks will be made with reference to the main challenges of the “governability-legitimacy-accountability” configuration – in brief, GLA. That configuration can be imagined in form of a circle cutting across the three dimensions of the state, the market and society. Resulting from substantial changes both within and across these dimensions of order, GLA is increasingly assuming the character of a vicious circle with its three elements negatively influencing each other. What are the main features currently destabilizing our democracies, and how are they related to one of the three modes of societal order. Let us first look at endogenous challenges, i.e. the state, and then turn to exogenous forces and their relationships with the state, i.e. the market and the community/society. The event of judicialization giving increased influence to courts in policy-making. Increasing relevance of “guardian institutions” outside effective democratic control and processes of agencification, i.e. the rise of counter- and non-majoritarian institutions in the fields of regulation and market competition. The rise of direct citizen consultation in the form of referendums. The combined effects of these destabilizing trends possess direct implications for each of the elements of the GLA circuit. Within that circuit, governability is essentially a question of delivery. As we know from the results of the most recent waves of the World Values Surveys (WVS 2015), trust in government hinges on the delivery of a number of key assets. Among the most important of these are: health, education, housing, transport, electricity, security, the management of infrastructure and of investments which the private sector is unlikely to finance and, not least, the regulation of social and economic activities. Governments are held accountable relative to the extent of which people turn to one of the options of exit, voice and loyalty (Hirschman 1970), i.e. to which government policies are accepted by the electorate. Finally, legitimacy is contingent on the degree to which government is able to guarantee the quality of inputs, outputs, and throughputs (Scharpf 1999). While all elements of that circuit can be either supportive or destructive of each other, the quality and the quantity of delivery are clearly among the main determining factors. Where these latter are visibly in decline, state capacity decreases while accountability and legitimacy are equally contracting. As shown above, this is what is currently happening in many of our countries – independent of their performance in terms of GDP growth and overall development. In the interest of making the GLA-circuit become virtuous again, several requirements would need to be met. Among the most crucial of these are measures aimed at re-establishing the primacy of politics in both the domestic and the international realm. Processes of internationalization and Europeanization, as much as the outsourcing of policy and of decision-making competences to economic and to societal actors and agencies are of course inevitable and often even desired. Indeed, it is the mutual and consensual interplay of the three dimensions which defines modern forms of governance. Yet, efforts need to be undertaken to govern these processes from within the realm of national political systems. In the relevant literature, this is often referred to in terms of a “shadow of hierarchy”. Although criticized by many, such a proactive policy should not shy away from intervening in the dimensions of the market and of the community/society (see, in particular, Papadopoulos 2013). How such efforts may look like and by what they are constrained in their effects shall be spelled out in what follows. In the interest of improving the quality of the GLA circuit, governments are advised to embark on a strategy of critical self-reflection with a view to check the opportunities and constraints of re-negotiating their boundaries in a way such that an appropriate balance between state, market and societal forces is likely to come forth. Such a strategy requires the highest possible amount of transparency on the part of the state and, not less important, substantial inputs from the side of both economic and societal actors. These latter are equally asked to critically examine and evaluate their contributions to the maintenance and extension of democratic governance. One way of how to achieve this would be the establishment of “Governance Councils” (GCs) in each country where representatives of all three categories of actors would freely deliberate about the potential contributions they could provide to enhance the quality of the GLA circuit and, thereby, of their own position and standing in the more encompassing context of domestic governance. The following ideas represent a brief selection among possible options in that respect (see, in particular, Schmitter and Trechsel 2004). Participants of Governance Councils would be given a mandate to check, evaluate, discard or embrace some of these options and eventually extend the menu to include issues of major concern to their specific countries. Introduction of lotteries for electors aimed at improving voter turnout at all levels of electoral competition. Envisage the prospects of a universal basic income. Popular initiatives and referenda as devices that hold representatives and rulers accountable. Governments and members of the respective Governance Councils would collectively debate these and other suggestions and options thereby evaluating on which parts of their prerogatives they are prepared to give up in the common interest of improving the quality of the GLA circuit. The following appears crucial with respect to the role and the composition of Governance Councils. Particularly advisable would be GCs set up for “denizens”, i.e. legally resident citizens from other countries. In that case, specific parties might be formed of “national” lists, of “continental” lists, or of “religious” lists. If working successfully, the composite dynamics of setting up GCs for denizens would trigger a process according to which those would be rewarded who represent broader categories of interest or identity thus contributing to the formation of cross-cutting affiliations and alliances. Finally, GCs should be set up at various levels of territorial complexity starting from the local, spanning the regional, up to the national level. One may start with the local level and then, subsequently, extend successful examples to include higher levels of complexity. Coordinated efforts by both governments and GCs would help re-establishing a virtuous GLA circuit in which the primacy of politics would be acknowledged without disregard for the beneficial, but potentially also detrimental effects originating from within the market and the community/society dimensions. Above, the possible establishment of Governance Councils has been suggested for review. In view of the destabilizing trends threatening the configuration of governability, accountability and legitimacy both from within the sphere of the state and from across the other two dimensions of governance and societal order, a further the suggestion shall be brought forward, namely the establishment of an independent high-level Commission of eminent policy makers. The main task of such a Commission of eminent persons would be to examine the contradictory policy environment for the setting-up of Governance Councils in the Member States of the G20, and to review the increasingly complex space such governance arrangements are aced with domestically as well as internationally. 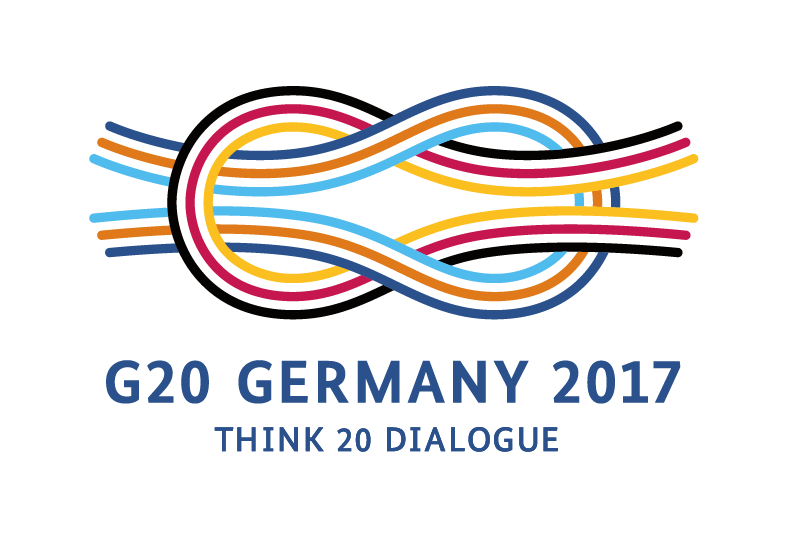 Working closely with, but independently of, the G20, the Commission is to make concrete proposals for improvements. Improve credibility, governability, accountability and legitimacy. In short, in times where governing has become an extremely demanding exercise that cannot be practiced without drawing from economic and societal sources – with public authorities in constant danger of being captured by the latter – such complex connections need to be publicized, openly addressed, and discussed with the people thus giving them a chance to decide of whether or not politics should re-establish or renounce its primary role in governance arrangements. Only by establishing transparency and sharing tasks can governments avoid the persistence (or emergence) of heroic images of the state as an almighty actor capable of doing the impossible. Rather, the state should do the possible by fully exploiting its prerogatives – if necessary against those other dimensions which both support and simultaneously depend on it. Crozier, P., S. P. Huntington, and J. Watanuki 1975. The Crisis of Democracy. Report on the Governability of Democracies to the Trilateral Commission. New York: New York University Press. Hirschman, A. O. 1970. Exit, Voice and Loyalty. Responses to Decline in Firms, Organizations and States. Harvard: Harvard University Press. Majone, G. 2005. Dilemmas of European Integration. The Ambiguities and Pitfalls of Integration by Stealth. Oxford: Oxford University Press. Papadopoulos, Y. 2013. Democracy in Crisis? Politics, Governance and Policy. London: Palgrave Macmillan. Scharpf, F. W. 1999. Governing in Europe: Effective and Democratic, Oxford: Oxford University Press. Schmitter, P. and A. H. Trechsel 2004. The Future of Democracy in Europe. Trends, Analyses, and Reforms – A Green Paper for the Council of Europe commissioned by the Secretary General of the Council of Europe; Strasbourg: Council of Europe Publishing. World Values Survey 2015. Wave 6: 2010-2014. Trust in Government; Institute for Comparative Survey Research; Vienna.